Some hangovers last more than one day. Certain foods, such as eggs, may help relieve the symptoms of a two-day hangover. People experiencing a lengthy hangover should consume plenty of water and electrolyte-enhanced drinks to offset dehydration. People with a two-day hangover may continue to be queasy long after they have stopped drinking. 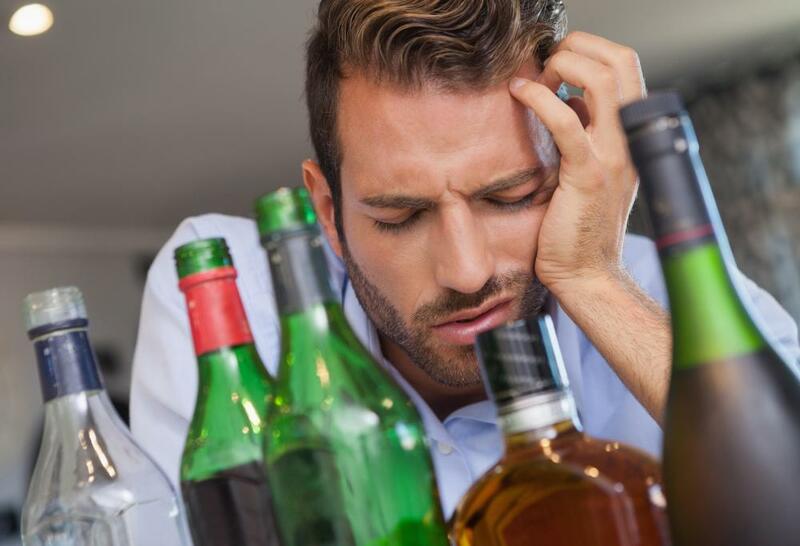 While many believe that a hangover typically lasts for only one day, it can take longer to recover. To deal with a two-day hangover, it is important to rehydrate. Certain foods can also help you to deal with the aftermath of drinking too much, and the type of food you eat depends on how well your stomach is feeling. It is also important not to drink any more alcohol until you’ve recovered. Taking a small dose of a pain reliever can relieve some of the uncomfortable symptoms of a two-day hangover, and sleeping as much as possible can also speed up recovery. One of the primary causes of a hangover is dehydration. Alcohol saps the body of added moisture, making your muscles sore and your mouth dry. Drinking plenty of water or natural juice without added sugar can help to bring your body’s moisture levels back in balance, relieving many of these symptoms. It can also help to flush out any remaining alcohol in your system. Certain foods have been found to help relieve some of the symptoms of a two-day hangover or speed up recovery. Eggs contain an amino acid that helps to breakdown toxins in the body, which can help to relieve symptoms. Many people have found that spicy foods are also beneficial, but can do more harm than good if you’re feeling especially nauseous. If your stomach is upset, try to stick to bland foods such as toast, crackers, or soup while recovering. It can also be helpful to stick to eating small amounts and gauging how you feel afterward. While a “hair of the dog” approach is often recommended, this isn’t typically a good idea. The phrase refers to drinking a serving of the same alcohol you over indulged in the night before as soon as you wake up. Although this can temporarily relieve hangover symptoms, it will often make you feel worse in the end, and may prolong your hangover. Small amounts of certain pain relievers can be helpful in dealing with a two-day hangover. Larger doses of aspirin and acetaminophen can cause problems while recovering, as the chemicals in these medications can react badly with the remaining alcohol in your system, potentially damaging your liver or causing ulcers. In general, it is best to only take small amounts of these and other pain relievers when enduring a hangover. One of the most important aspects of recovering from any type of hangover is getting plenty of rest. If possible, eat a small amount of food, drink plenty of water, and take a pain reliever upon waking up, and then head back to bed. In most cases, you will feel much better after a good nap as it gives your body a chance to recuperate and to flush the system of the alcohol. How do I Relieve Hangover Nausea? You might want to figure out what kinds of drinks will cause a long hangover for you. Everybody's different when it comes to alcohol. Some people can drink wine or beer to intoxication and be fine the next morning. Others can have mixed drinks or pure spirits and have a hangover for three days. I worked as a bartender for a few years and I figured out that mixing different kinds of alcohol, like starting out with mixed drinks and switching to beer, can make a difference on how long a hangover can last or how bad it will be. The one time I remember having a two-day hangover was after a night of serious drinking, not just the usual two or three mixed drinks occasion. A friend of mine won a lot of money in a lottery and he told us to order as many drinks as we wanted. I drank double and triple-sized White Russians, which have a lot of vodka and Kahlua in them. At the end of the night, I was literally tossed out of a car near my house and I had to crawl to the door. I don't know what my blood alcohol level would have been, but I almost lost consciousness. eat, I was extremely tired, and I felt like I was still a little intoxicated. By that night, however, I was feeling a little better. It was the second day that really hurt. My head was pounding, and I couldn't drink enough water to satisfy me. I felt like I had the flu all day. I'd say if you're drinking enough alcohol to trigger a two-day hangover, make sure you plan ahead and stock up on medications and foods you can handle. Don't try to go to work or do any other responsible thing. Just ride out the hangover like you would a bad cold or something.